"Mark my word, if and when these preachers get control of the [Republican] party, and they're sure trying to do so, it's going to be a terrible damn problem. Frankly, these people frighten me. Politics and governing demand compromise. But these Christians believe they are acting in the name of God, so they can't and won't compromise. I know, I've tried to deal with them." 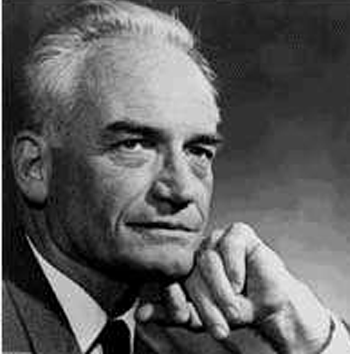 Straight-talking arch-conservative, Arizona Senator Barry Goldwater was far more conservative than the average member of the Republican Party in 1964 when he ran against Democrat Lyndon B. Johnson for President of the United States. Nevertheless, unlike today's Republican Party, Goldwater understood, as did the Founding Fathers, the fundamental reason why separation of church and state is absolutely necessary in a representative democracy. Today's congressional deadlock and extreme partisan pandering on the political right is the inevitable result of making politics a religion or bringing religion into politics, either of which precludes the reasonable compromise necessary to the survival of a functional representative government of diverse constituencies. Separation of church and state is just one more historical lesson to file under "Things the Republican Party has forgotten." Not only forgotten but resent. And they demonize anyone who seems to suggest that the United States is not a Christian nation. The United States is one of the places, havens really, where you can worship whom you wish, the God of your choice. The United States is a nation of free religious choice. Though you will not be free from persecution if you worship the wrong mythology. And as Dennis has pointed out before, you may not run for public office if you don't profess a choice of any kind. Or you can, but you better have bull testicles and steel skin.